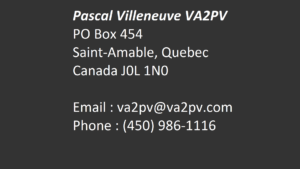 I am Pascal Villeneuve VA2PV and I love technologies so much that I feel the need to share all my projects with the world. 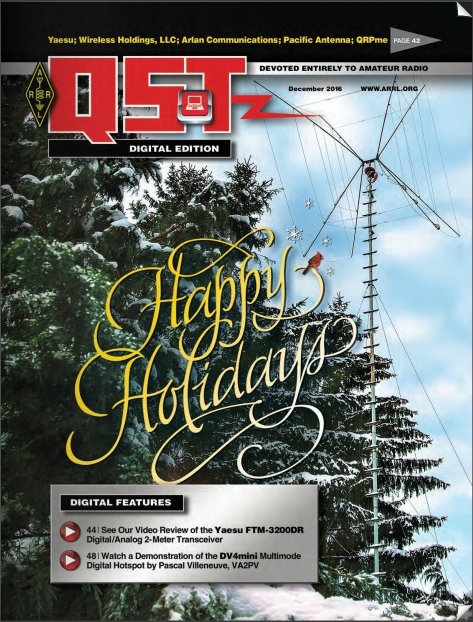 My work is about technologies so are my hobbies, amateur radio (ham radio) and video production. I use my YouTube channel, Laboenligne.ca, to share UHD (4K) quality videos and my enthusiasm for amateur radio. I do product reviews for the benefit of my viewers using simple explanations, making the technology accessible and interesting, at least that’s what I’m trying to do. I am known for being passionate about technology and more particularly about telecommunications. I am among those who believe that technology helps to bring people together, whether they communicate from distant places or share the same environment. Human relations and technology have always been inseparable from my personality. People say that my passion is contagious! If you are a company and would like to provide demo products or for any other request, please contact via the email address in the contact information at the bottom of the page. If you are a viewer and want to contribute, simply just subscribe to my YouTube channels, Laboenligne.ca, your support is very much appreciated. Just click on the YouTube subscription button at the top of this page. To access the FCS003 C4FM reflector dashboard, follow the link below. FOR OTHER TRANSPORTER PLEASE CONTACT ME BY EMAIL. THANK YOU.